Eighteen-piece photography show by Louisiana Photographer Marie Constantin. The show, "Finding Calcutta," is made up of rare behind-the-scene moments of the late Mother Teresa of Calcutta as she traveled on the East coast to be with her sisters for their vow ceremonies. 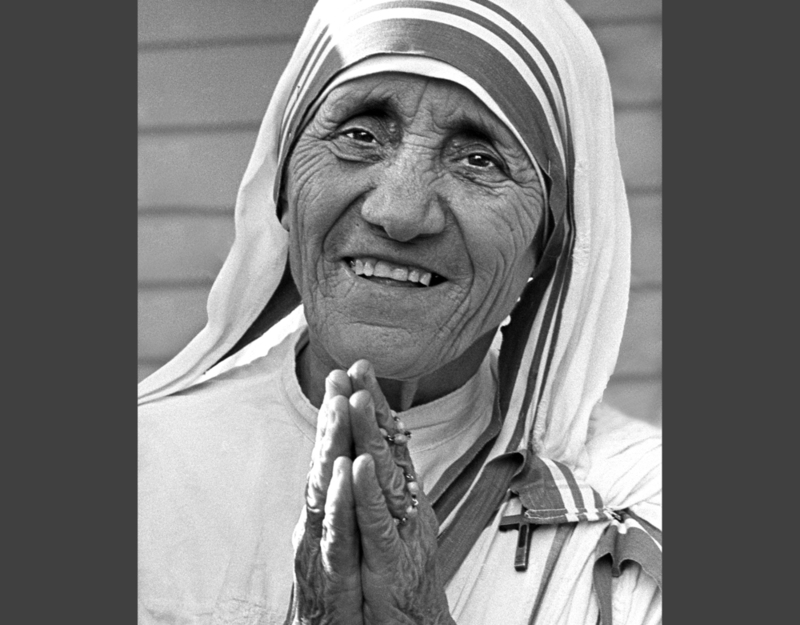 One of the images in the collection was chosen by the Vatican to hang on the facade of Saint Peter's Basilica in Rome to serve as the official beatification photo for Mother Teresa. That image was unveiled in front of 300,000 people during Pope John Paul II's 25th Anniversary celebrations in 2003 .